5 Bedroom End of Terrace House For Sale in Sheffield for £225,000. 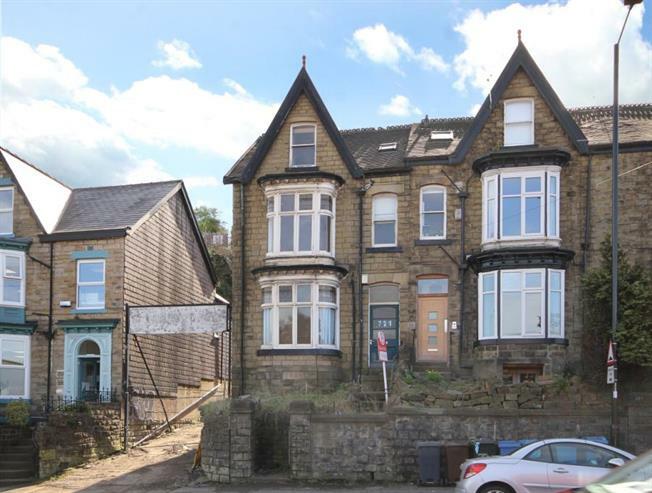 This three storey terraced property offers accommodation spread over three floors and is available with no onward chain. The ground floor comprises hallway with front facing lounge, a further two reception rooms, kitchen and family bathroom. Access to the rear of the property via side facing kitchen entrance door. Steps lead down to cellar from hallway. Staircase leads to first floor comprising three reception rooms, kitchen and bathroom. Further staircase rises to second floor which comprises two reception rooms, WC, shower unit and kitchen. Externally the property benefits from garden area to front and rear. Located in an ever popular area within close proximity of Endcliffe Park, the Botanical Gardens and great local amenities. In addition the property benefits from good transport links to the city centre. The property offers opportunity for modernisation and an early viewing is highly recommended.